Under the accrual method of accounting, goods sold on credit are recorded as sales (revenue) when there has been a transfer of goods to the buyer. This usually occurs before the seller receives payment from the buyer. Credit sales are recorded by debiting Accounts Receivable and crediting Sales. As sale leads to an increase in the income and assets of the business, assets will be debited while income will be credited. 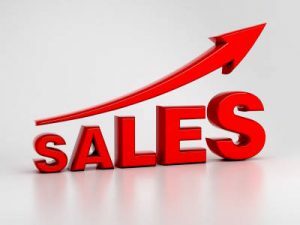 Sales also results in the reduction of inventory, therefore the accounting prepared for inventory is separated from sale accounting. SALES ARE EITHER ON CASH OR ON CREDIT. Cash is debited to account because there is an increase in cash of the business while Sales revenue is credited to account due to increase in the income. The double entry is same as in the case of a cash sale, except that a different asset account is debited (i.e. receivable).